Seachtain na Gaeilge is always well celebrated at St. Catherine’s. 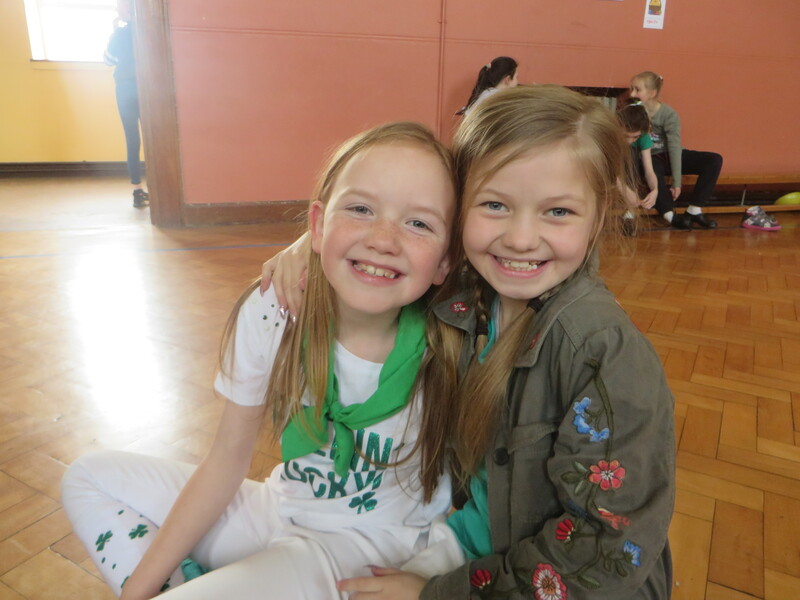 Pupils are encouraged to speak Irish during the week and to engage in Irish cultural activities. One day is usually set aside as a special day when pupils come together to celebrate the Irish language, Irish culture and St. Patrick’s Day. 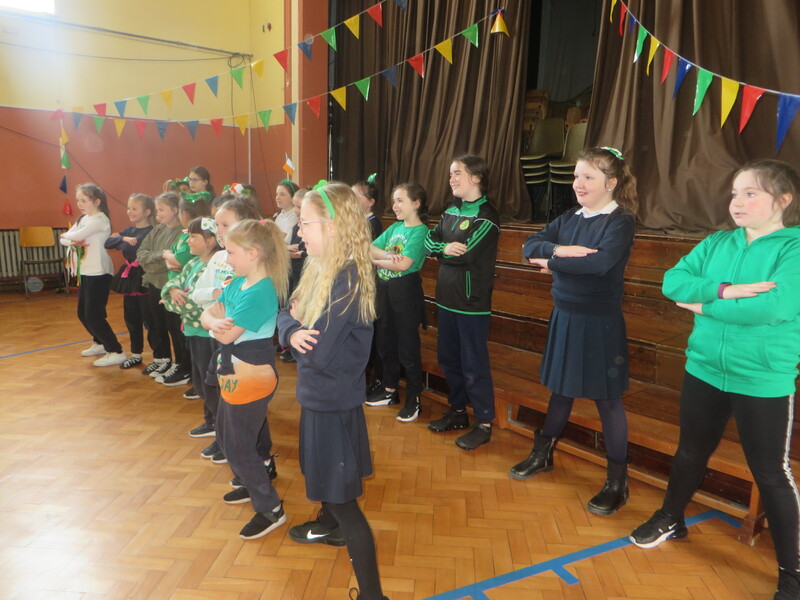 Pupils are taught a selection of traditional Irish set dances in the weeks coming up to St. Patrick’s Day. These often include ‘Ballaí Luimní’, ‘Cur crúb ar an Asal’, ‘Staicín Eorna’ and ‘Ionsaí na hInse’. 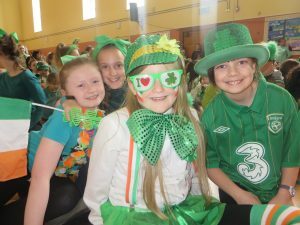 The whole school then comes together close to St. Patrick’s Day in the school hall where all pupils can take part in the Ceilí Mór. The hall comes alive with music and dance! 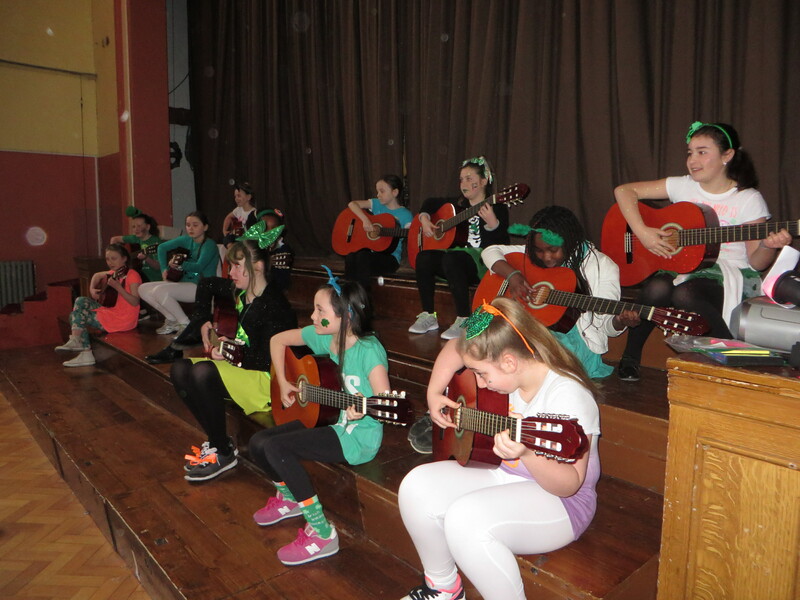 Each year we also hold a concert for the pupils in the school. 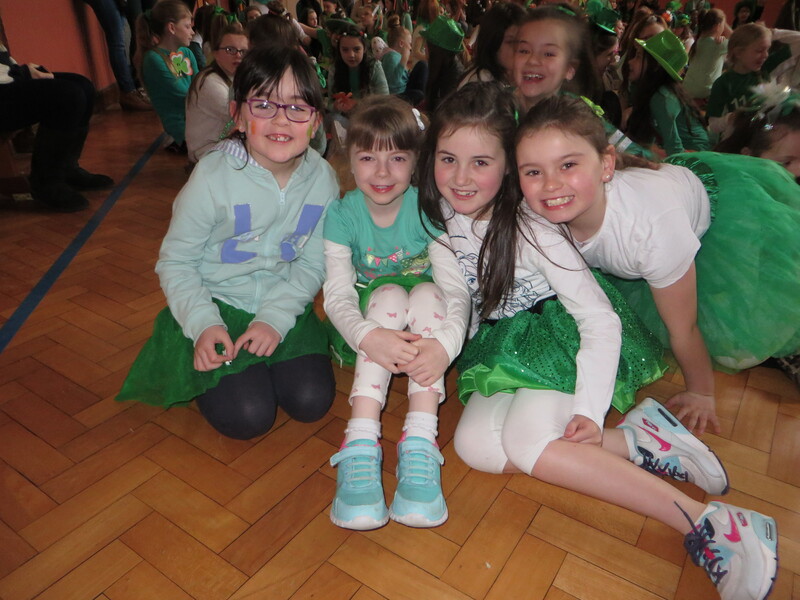 Each class performs a song or poem ‘as Gaeilge’ for the other pupils in the school hall. Local Irish traditional musicians have been invited to the school each year to give the pupils an opportunity to listen to traditional Irish music played live. They perform range of different musical pieces and talk to the children about their instruments. 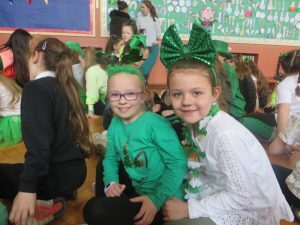 It is sometimes a non-uniform day where pupils are allowed to wear green, white and gold or dress as a famous Irish person. A number of pupils also perform individual traditional Irish dances for the other pupils. The day is a wonderful celebration of Irish culture and heritage.